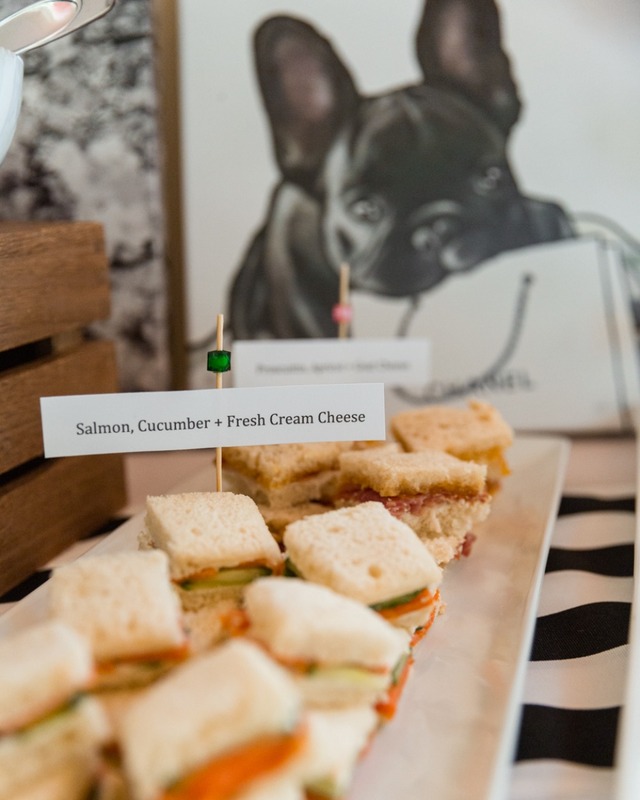 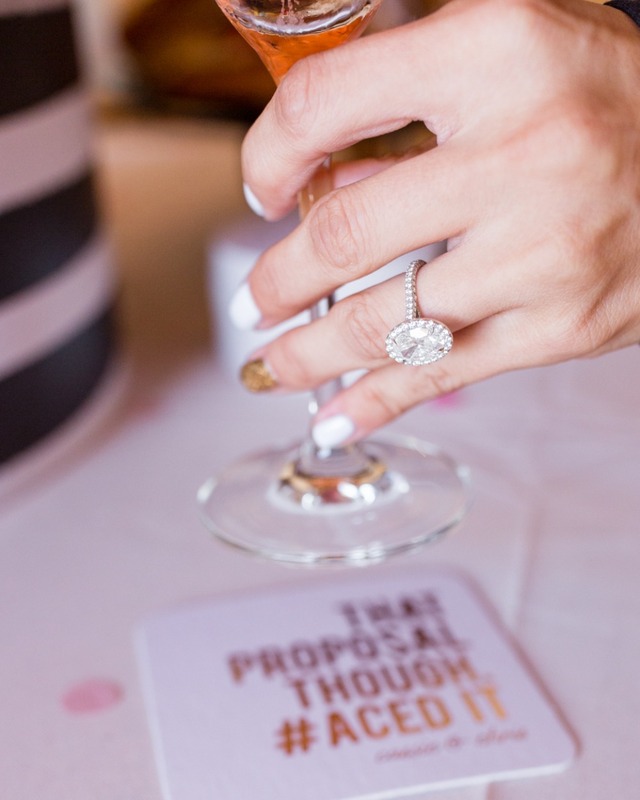 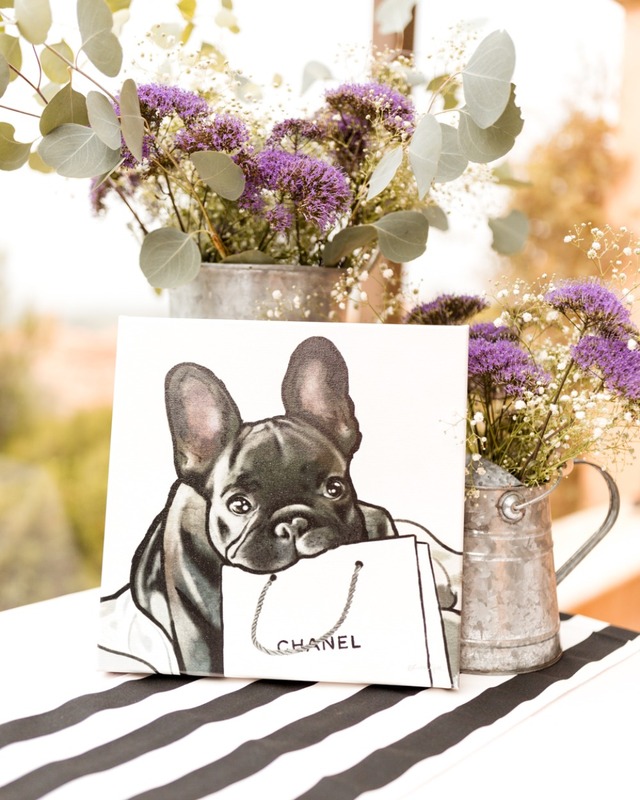 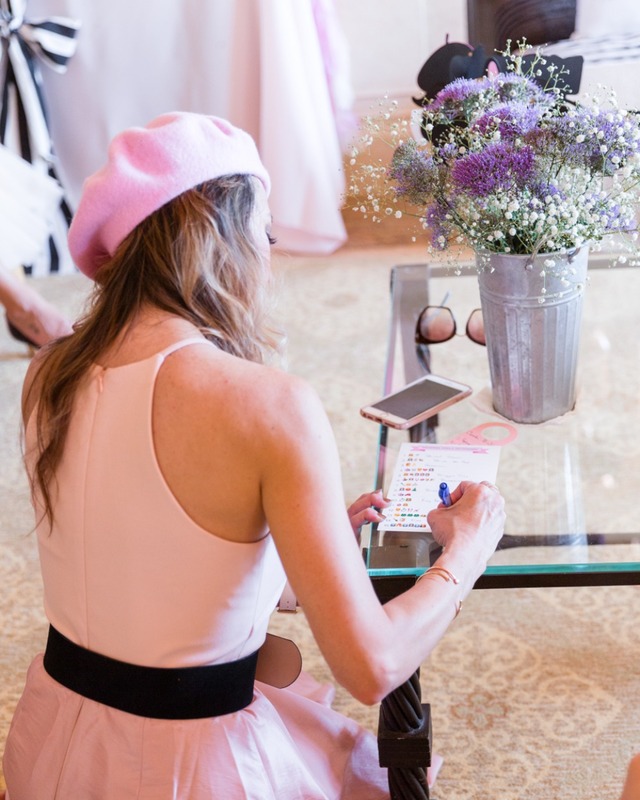 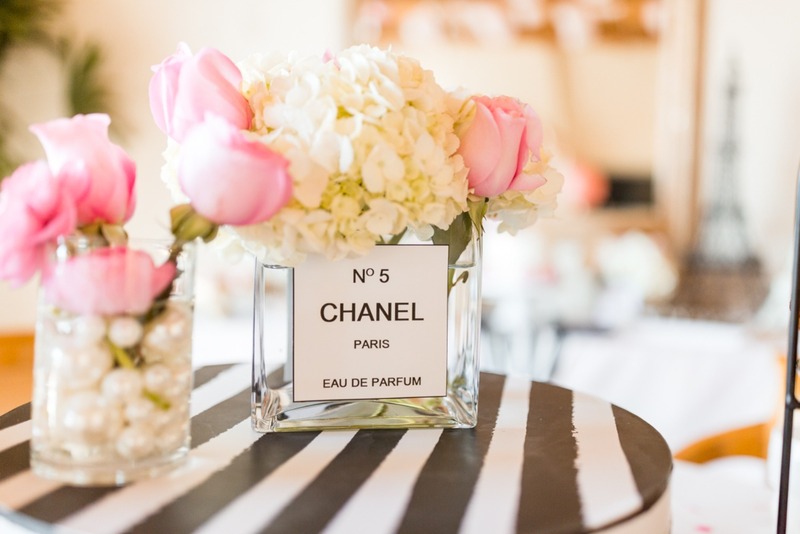 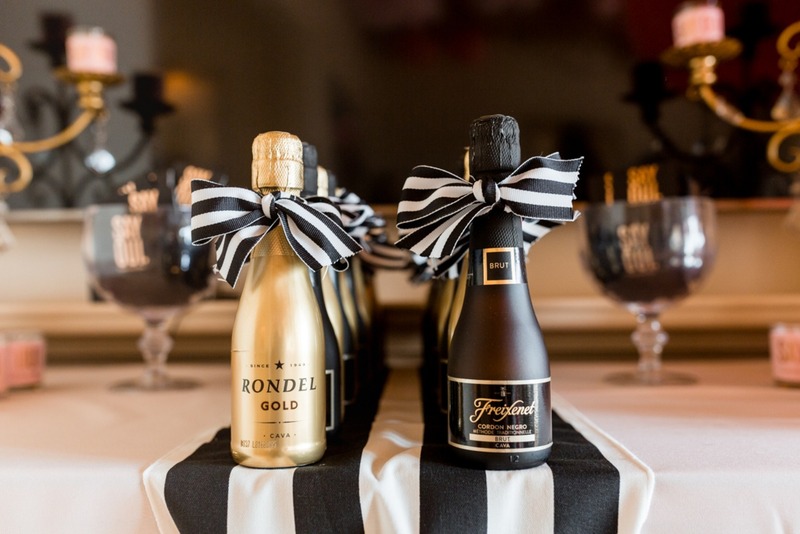 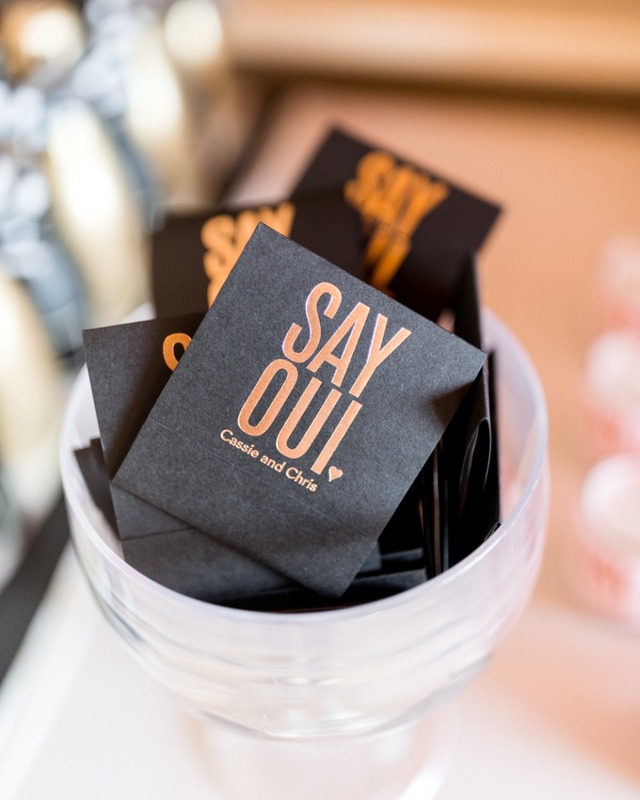 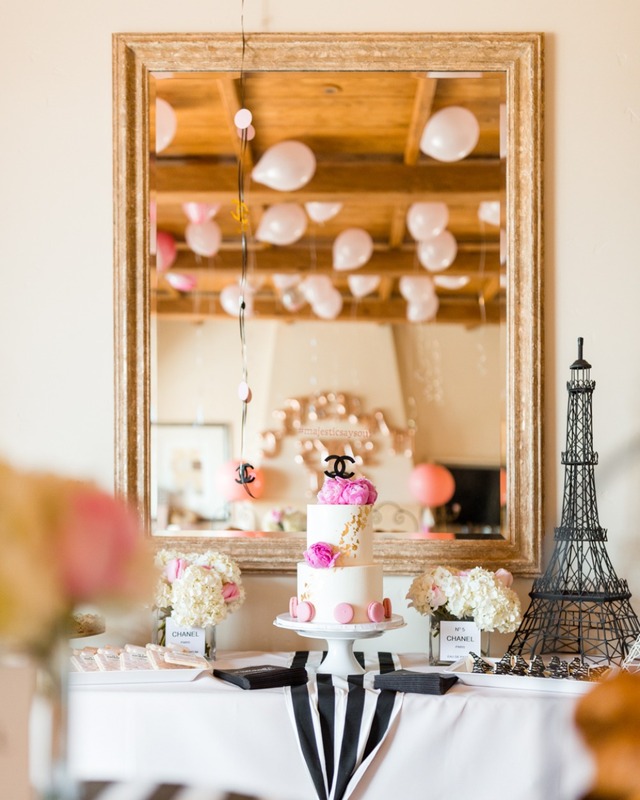 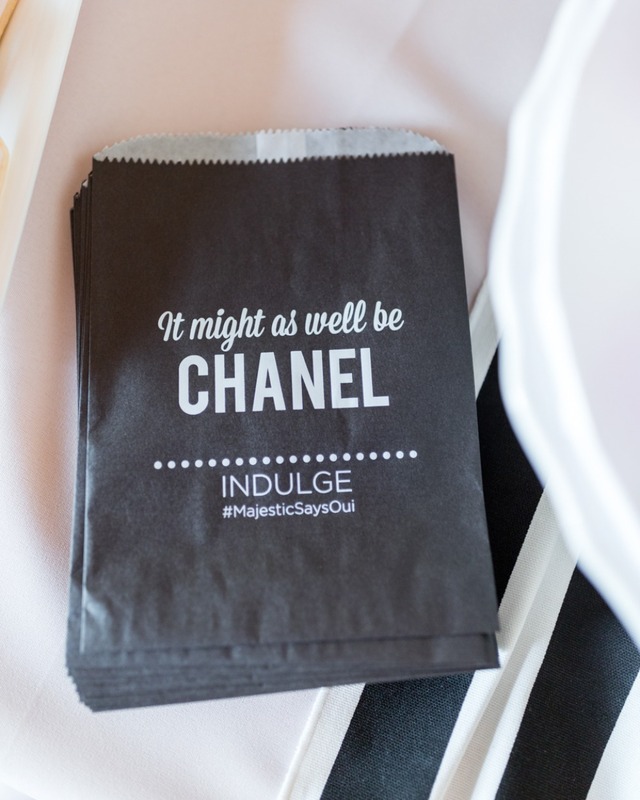 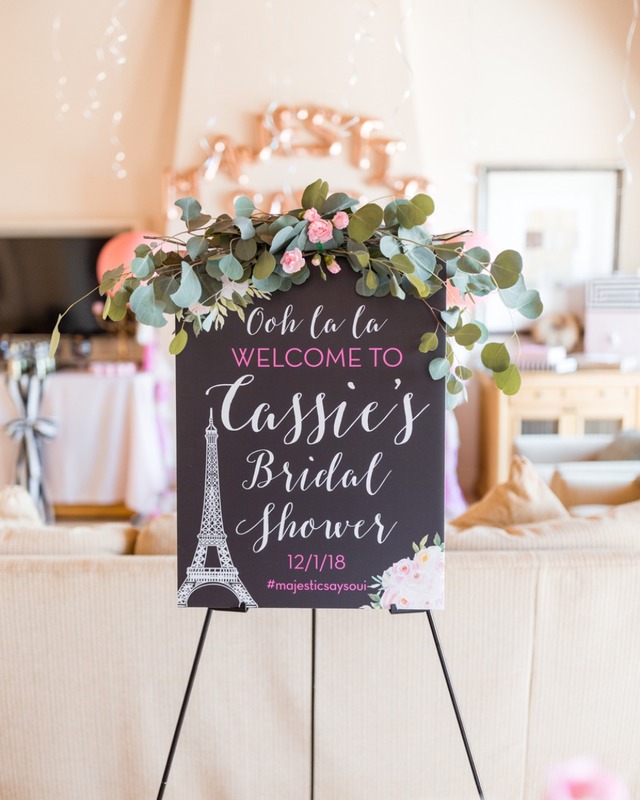 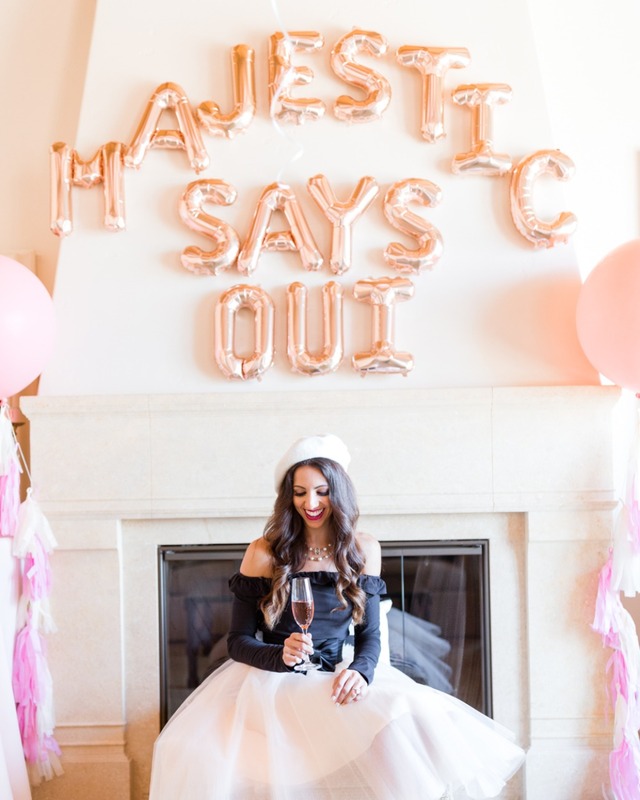 Keep scrolling to see just what a Chanel Parisian bridal shower looks like and to find some truly unique bridal shower games! 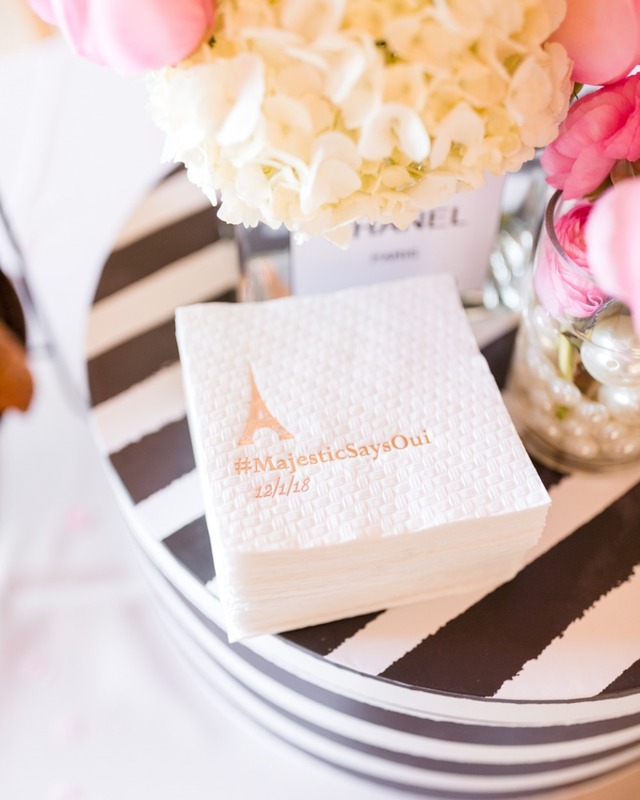 There is plenty more to see in the full gallery too thanks to Aloha Zo Photography. 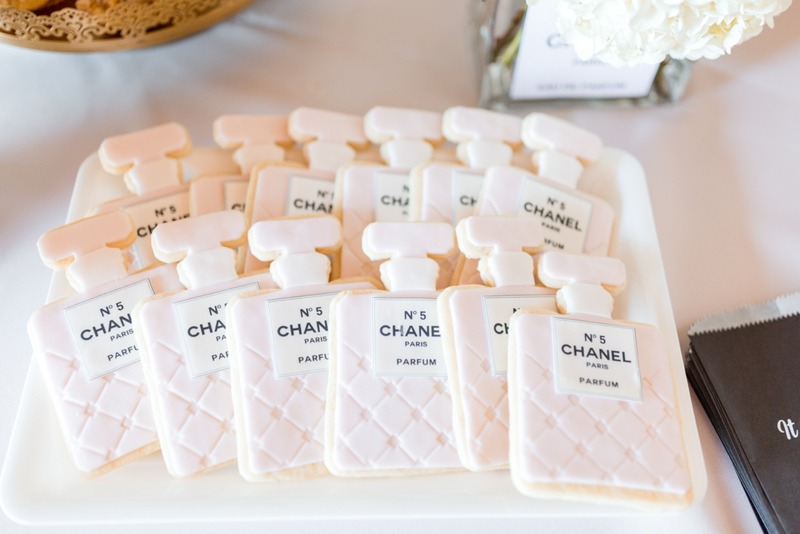 Coco Chanel would be so proud! 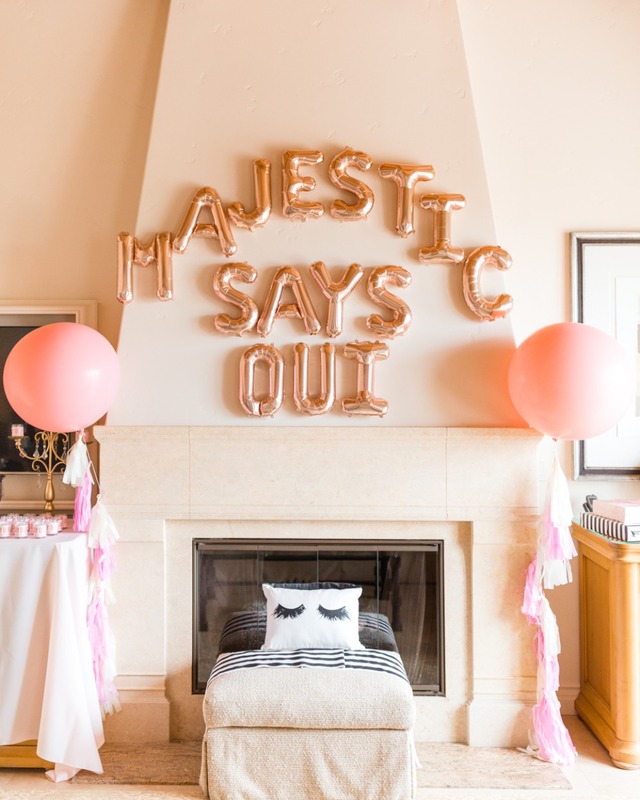 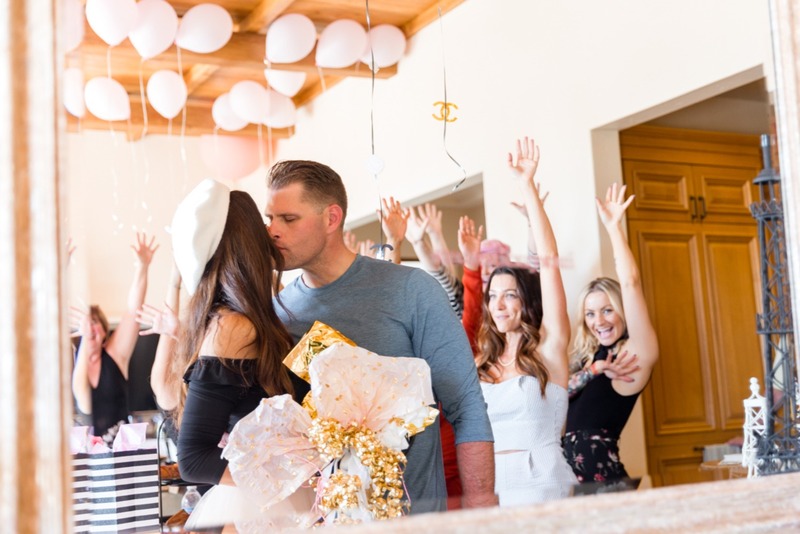 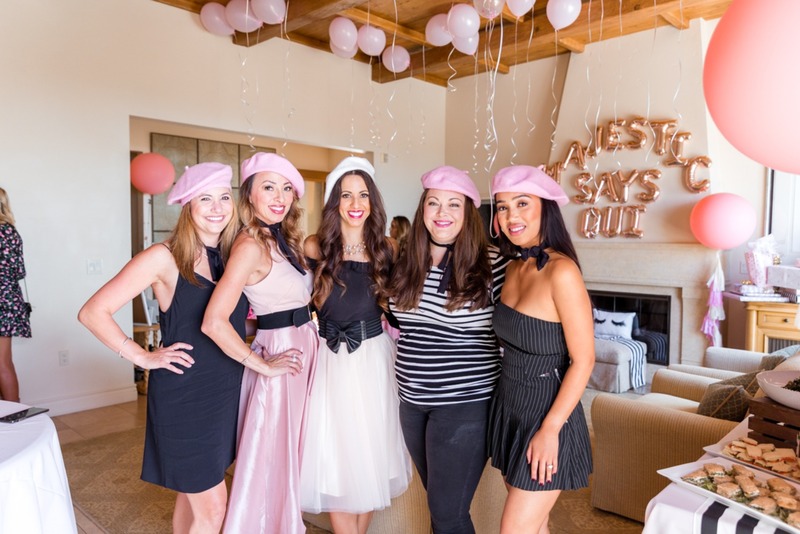 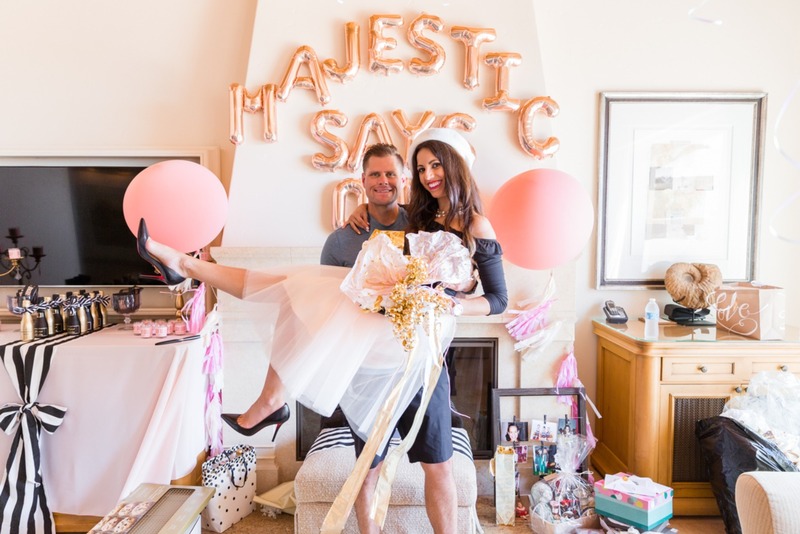 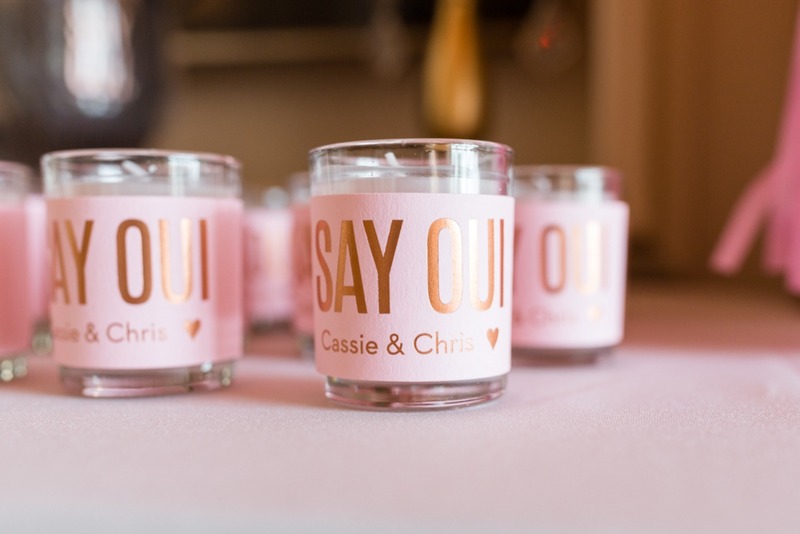 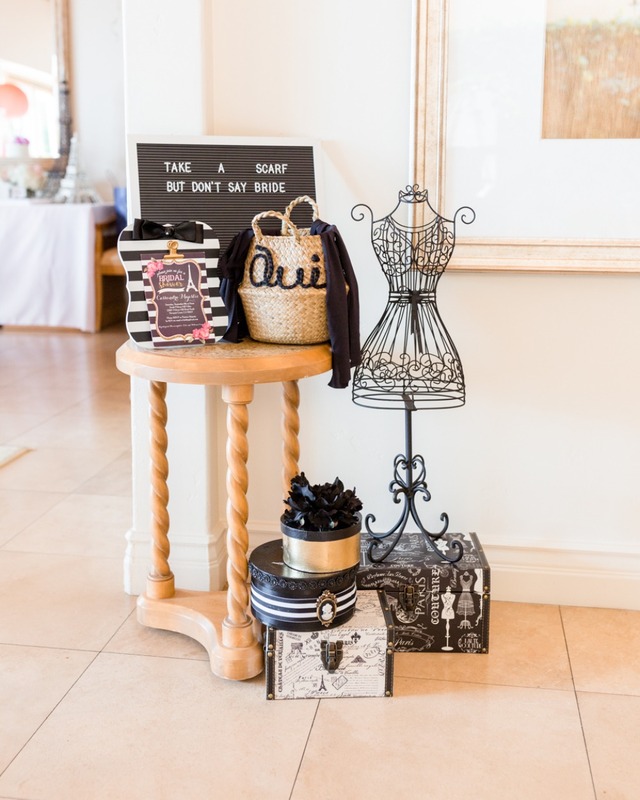 Although she has a sea of 100k followers on Instagram as @dr.majestic, Cassie's bridal shower was an intimate affair in one of the villas at Pelican Hill Resort. 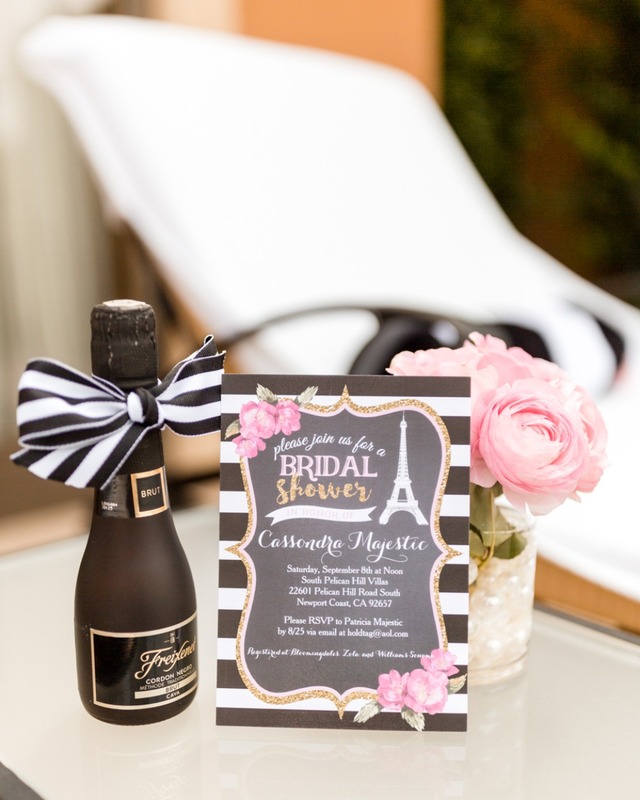 Check out her simple Parisian shower. 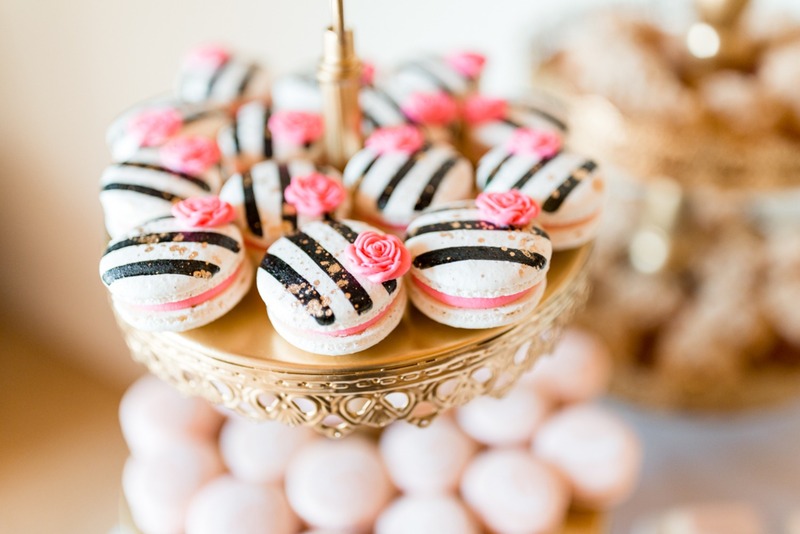 It's black, white, and pink all over. 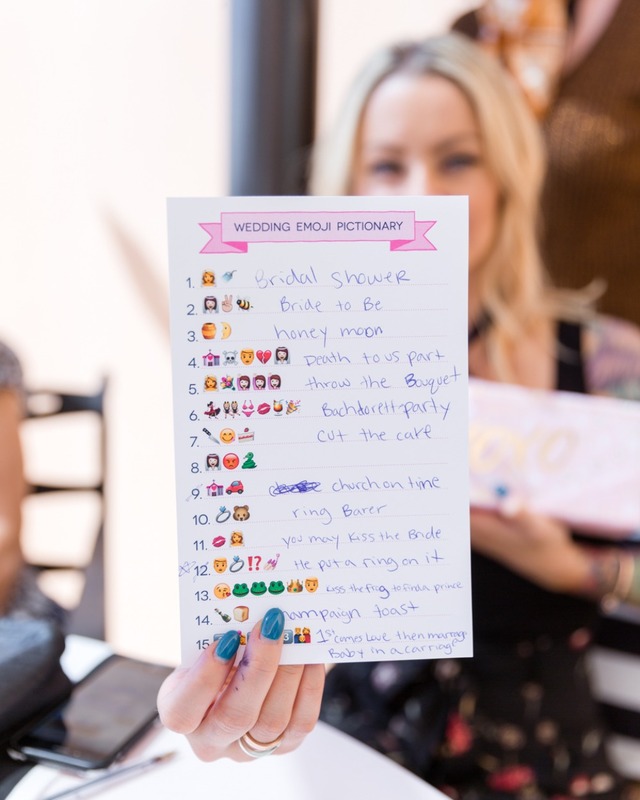 She had creative games such as "Take a scarf but don't say, bride," and "Wedding Day Emoji," which was cute and fun as she is a well-known social media influencer. 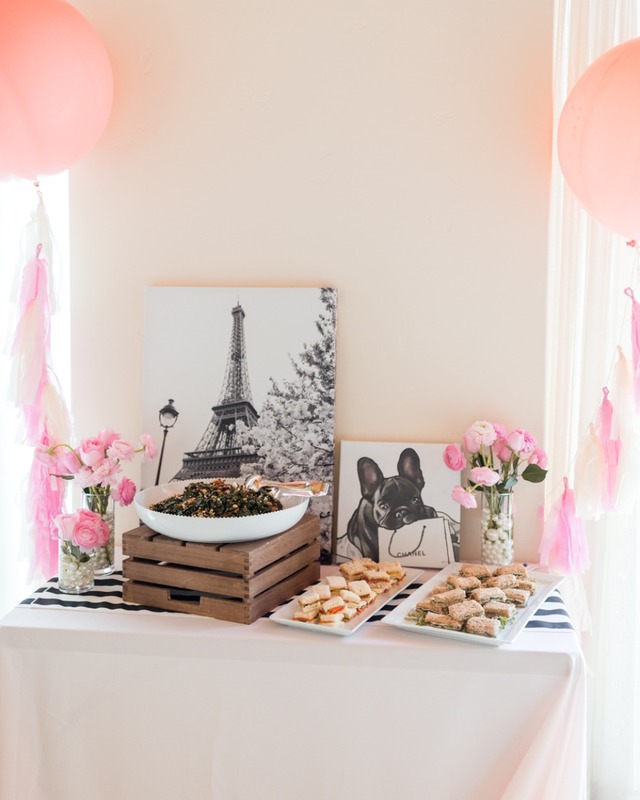 Her shower was fun, yet sophisticated, with all the best French pastries and snacks you could think of. 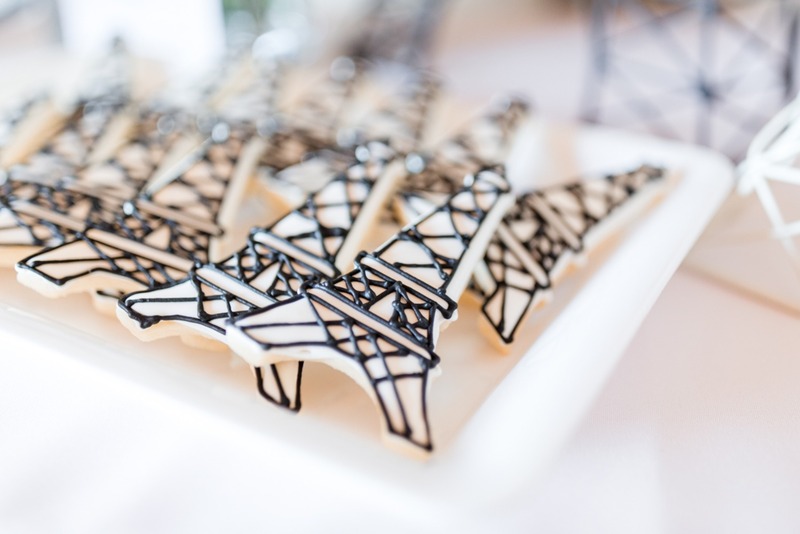 Perhaps Paris is closer than you think!